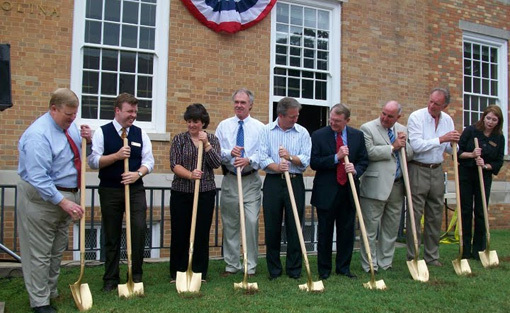 This recent groundbreaking not only marked a major milestone for The Green Room Community Theatre in Newton, NC, but also demonstrated that fundraising for the arts can be successful, even in a small town, and even in the recessionary times of 2008-2009! 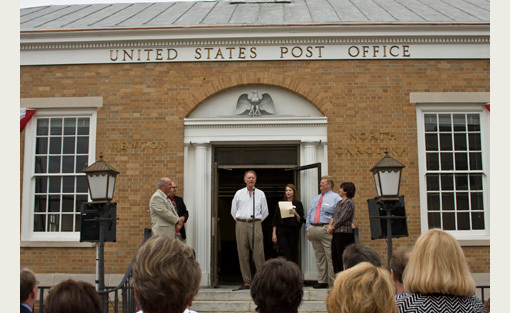 Not unlike its first dedication in 1936 in its former life as a United States Post Office at the end of the Great Depression, this building is now being renewed as a performing arts center, once again breathing new life into the community. 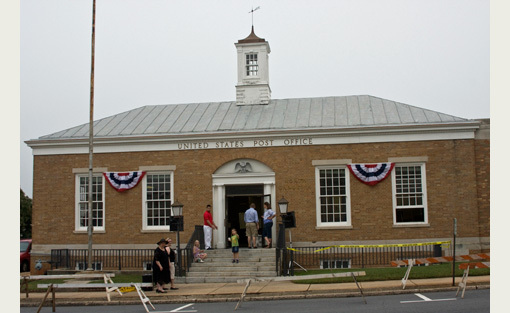 Thanks to the generous gift of Bob and Michele McCreary of Newton, who acquired the property on behalf of The Green Room in 2008, a successful capital campaign ensued, chaired by Bob and Ray McKinnon, now in its public phase, and has captured the enthusiasm of the entire region. Construction is now underway on a renovation of the existing complex which will retain its architectural integrity, with a large addition to house a spacious theatre, a black box theatre, classrooms and additional rehearsal space. 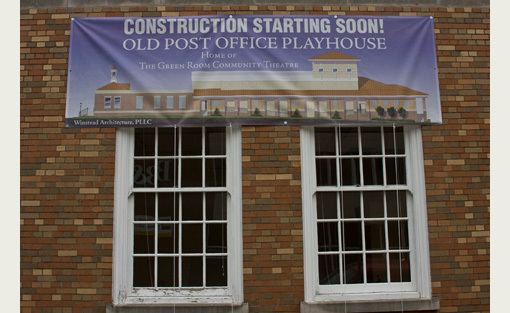 This grand new complex will be named the Old Post Office Playhouse, and expects to open Fall 2010. Sherry Butler, Executive Director of The Green Room, said of working with fundraising consulting firm Capital Development Services, on the campaign, "We couldn't have been more pleased with the process and the outcome. CapDev led us through a comprehensive feasibility study and then a well-structured and meaningful campaign, where we grew and strengthened our donor relationships. This project will have a tremendous impact on our community at this time and for many years to come."